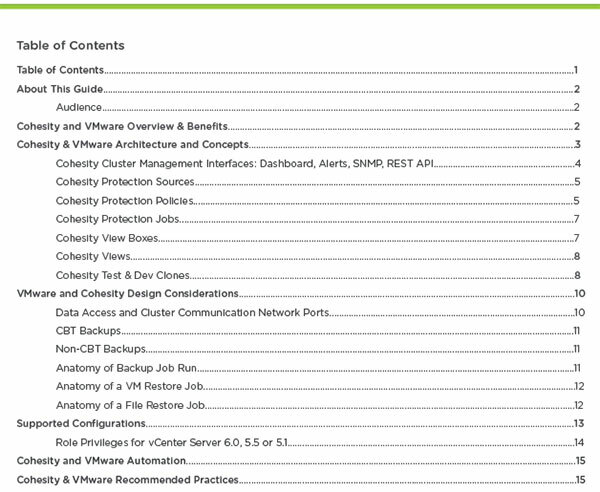 The Cohesity Solution Guide for VMware is hot off the press! The first version of this guide took a look into the deep integration of the Cohesity DataPlatform and DataProtect software with the VMware solution stack. 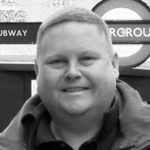 The guide goes into detail about key elements of system design, integration, architecture and recommended practices. Please visit here to get the latest copy. We have a number of ideas for the second version and would like to hear your feedback and ideas so please feel free to share them via Twitter @DrewtheClouds or e-mail andrew@cohesity.com!